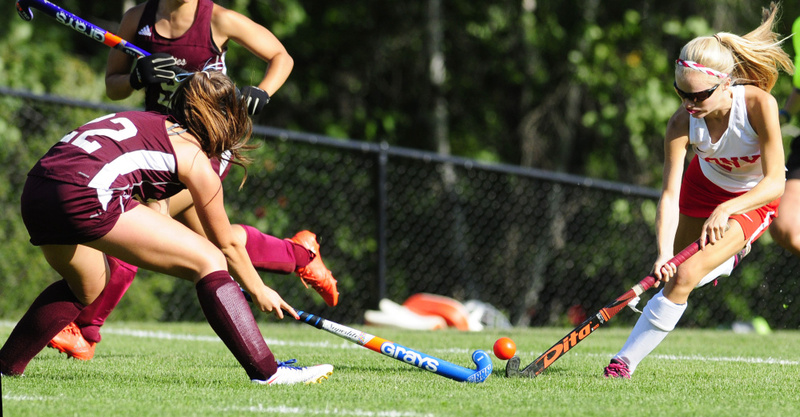 Freshman Reny scores twice, Rams stifle Edward Little offense in 4-1 victory. 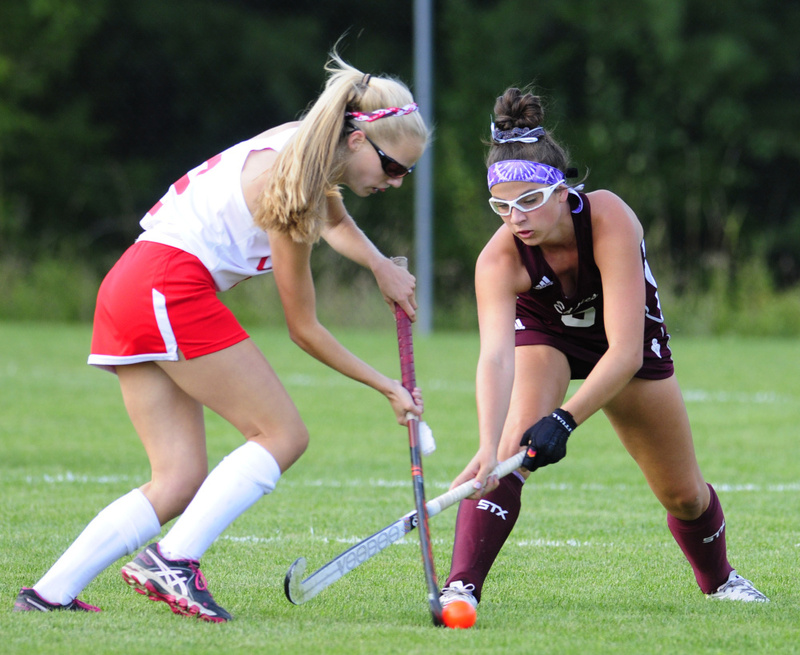 AUGUSTA — The first half wasn’t perfect, which meant that, for Holly Daigle and her Cony High School field hockey team, it wasn’t good enough. The second half, however, was more like it. Freshman Julia Reny scored twice in her varsity debut and the Rams throttled any semblance of an Edward Little attack in the second half, leading the way in a season-opening 4-1 victory over the Red Eddies on Thursday afternoon. 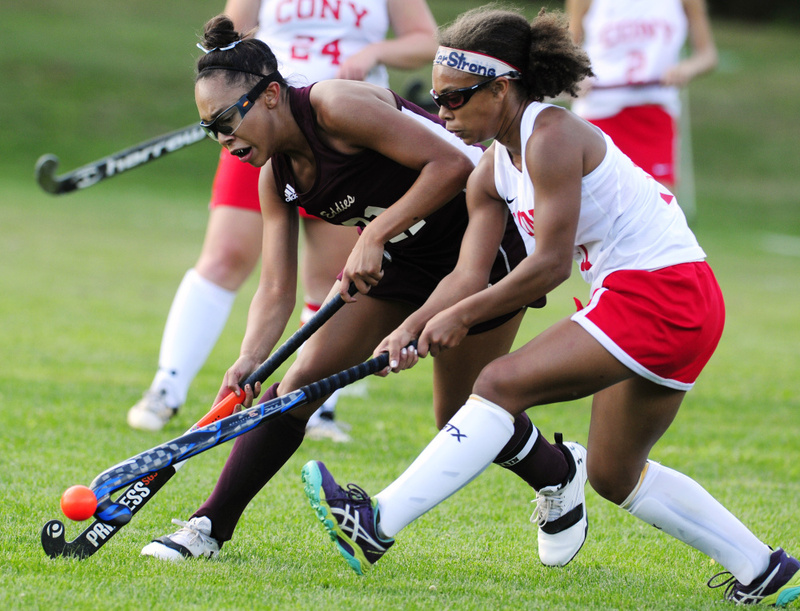 It wasn’t as if Cony’s first half of the season was a dud. The Rams struck first on a goal by Reny, and then took the lead 27 seconds before the break on a score from Kami Lambert. But the second half was a demonstration of dominance. Cony didn’t allow a shot on goal — Edward Little didn’t get another after tying the game with 12:47 left in the first half — and the Rams entrenched themselves in the Eddies’ end, piling up nine corners and rattling goalie Abby Weber-Merrill (19 saves) with shot after shot. The pressure eventually translated to the scoreboard. Reny gathered the ball on the left side and fired a shot in with 12:04 to go, putting Cony up 3-1. Her play didn’t suggest it, but Reny said she was uneasy going into her first varsity test. Her first goal put Cony on the board with 18:11 left in the first half. She worked the ball into an opening near the Edward Little net, then beat Weber-Merrill with a shot for the quick lead. The Eddies drew even on what ended up being their last push of the game. 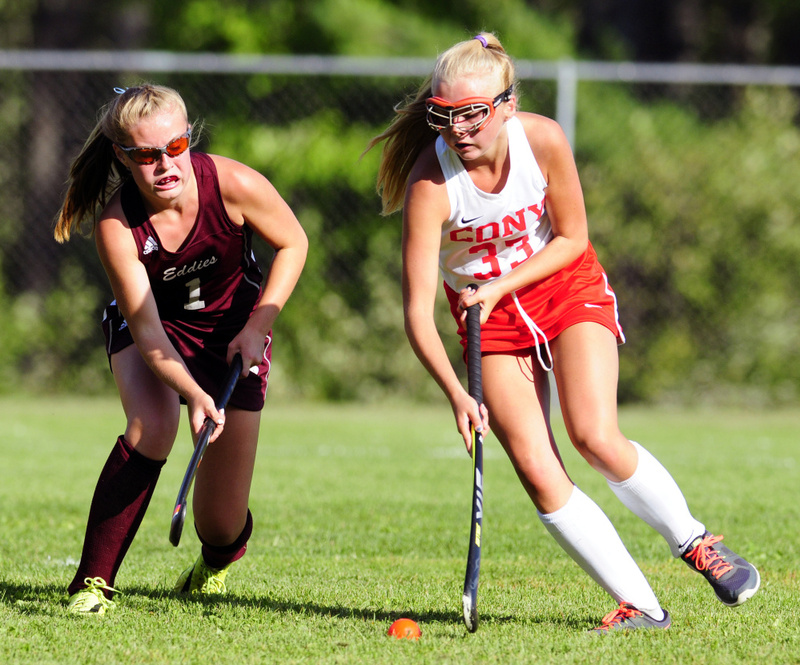 Edward Little bore in on the Cony net, and after an Anna LeBlanc shot was knocked away, Oceanna Chamberlain was on hand to knock the ball past sprawling Cony goalie Jessica Lee. 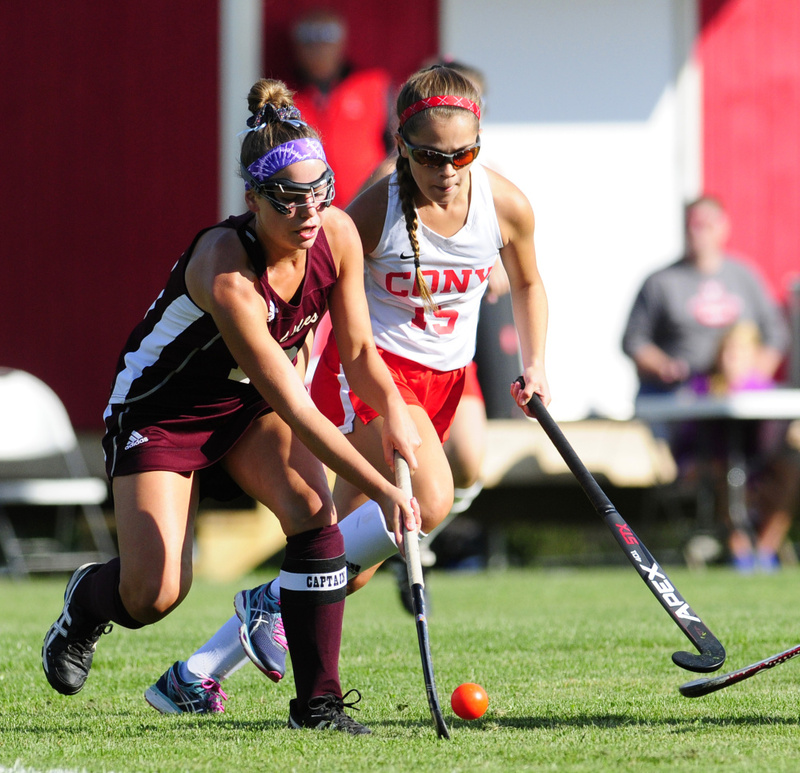 Any momentum gained by the goal didn’t last; Cony earned four corners in the remaining minutes, and just before the buzzer, Lambert drilled home a pass from Anna Reny that skipped through the shooting circle from the left side. 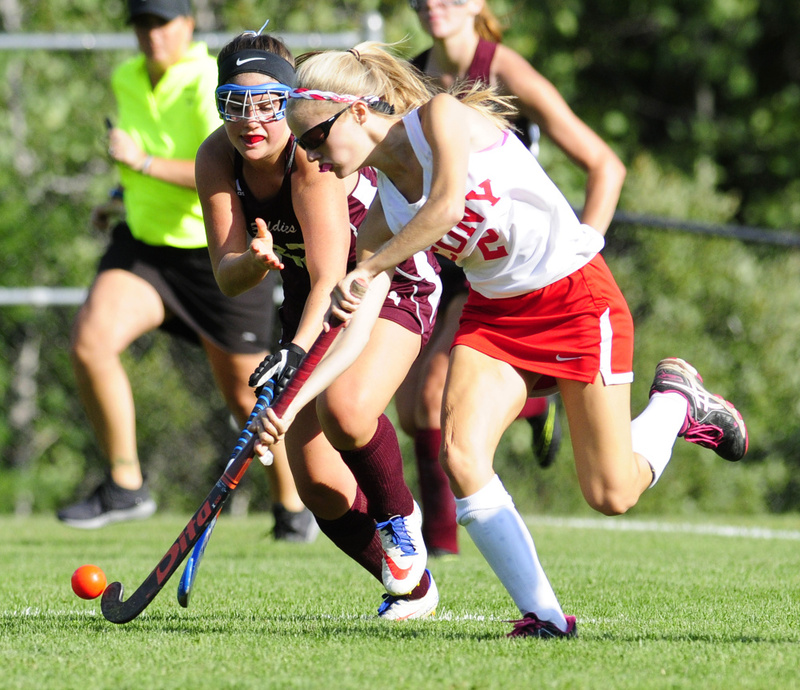 Cony rounded out the scoring on its final corner of the game. Faith Leathers-Pouliot sent in a pass from the right, and Allee Cloutier was open and ready to redirect it in with 35 seconds left.